Home Learn DEMOCRATIC EUROPE eBook: Innovative educational and media practices for an inclusive and participatory Europe. eBook: Innovative educational and media practices for an inclusive and participatory Europe. In Europe, traditional media are increasingly weakened and criticised by citizens as being incapable of representing societal diversity. Many researchers have focused on the media coverage of disadvantaged urban areas and in particular on the stereotypes that have led to the construction of an urban mythology of ‘youth’. Media crisis goes along with a raising distrust and withdrawal of young Europeans from institutions. Interlinked with non-formal education in a holistic perspective of lifelong learning, higher education institutions develop innovative projects in partnership with civil society to change this dual relation and foster emancipation. 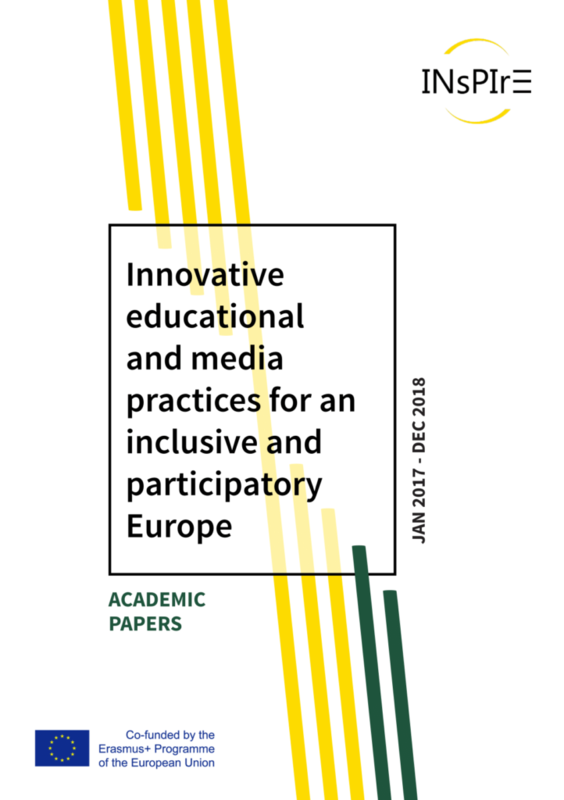 As part of the Erasmus+ INsPIrE project, this publication aims at feeding exchanges on innovative educational and media practices for an inclusive and participatory Europe.